In poker, your bankroll is your main tool. 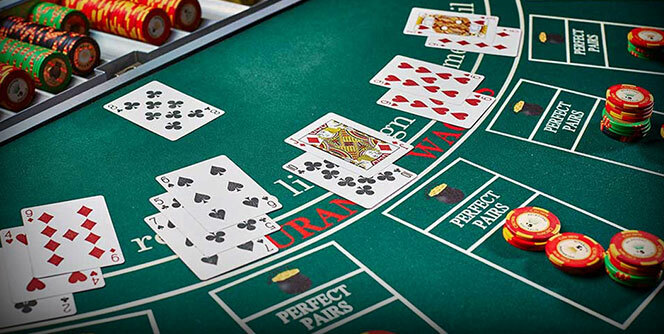 Whether you play cash games, tournaments, or sit and go’s, you need a bankroll that can support your efforts and ensure you can play in the games you want to play in. So, a poker bankroll is equally as important for your success as is your poker knowledge, training, and all other factors. One thing that makes the bankroll different from all these other things, though, is the fact it isn’t easy to get. You can get heaps of poker knowledge for free online these days but finding cash to fund your poker endeavors can be a bit trickier. So, how do you start a poker career without a good bankroll? There are two ways to go about it. You could set aside some of the money you earn from other sources and use that, or you could go through a long(er) process of actually building your bankroll. From a poker player’s point of view, the second option is probably better, albeit harder and more time-consuming. The reason for this resides with the fact that along your journey you’ll get to significantly improve on your in-game and money management skills, both of which will be crucial on your path to success. So, in this blog, I’ll try to offer some advice on how to go about building your bankroll in the most efficient way. Despite the fact poker has become much harder than it used to be some years ago, there is still money to be made and you can still get to where you want to be if you have the right approach and, more importantly, a good plan on how to get there. Live vs Online: What to Choose? How soft are the live games you frequent? When compared to online, live games are fairly expensive. While online you’ll have no problems finding tournaments with a buy-in of $1 and cash tables where you can join with $2-$5, there is nothing like this in the live environment. The cheapest cash games you’ll find in most places run at around $1/$1, which means you need $100 for a single full buy-in. Tournaments are similar, with the cheapest ones running at $30 or so. So, unless you have a decent amount of money already set aside for poker, I’d say online is definitely the way to go. 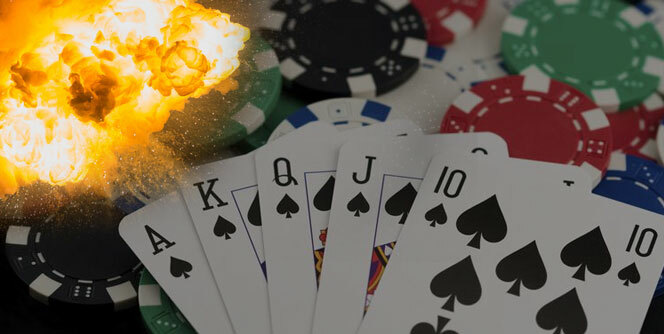 Trying to build your poker bankroll from $300 in live games is virtually impossible and, unless you catch a really hot run, you’re very likely to go bust. But I Enjoy Playing Live Games? Many people prefer live over online poker for various reasons, one of them often being the fact live games are, on average, infinitely softer than their online counterparts. So, with all these things taken into consideration, it is natural you’d like to try and build your bankroll in a live setting. But, once again, unless you have the money to do it, it doesn’t really matter how soft the games are. You can’t discount the variance, which can be pretty brutal. I’d suggest trying some online games and finding your sweet spot. 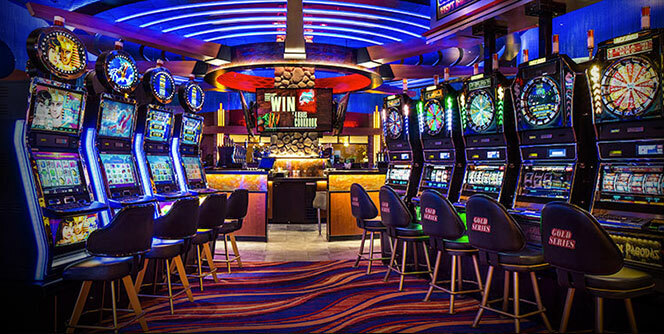 Then, if things are going right, you can take some of your online winnings and use them at live tables. This probably isn’t the most conservative approach there is but it can be worthwhile, provided you leave enough money online to continue playing your usual stakes and eventually move up. To Freeroll or Not to Freeroll? The fact is, you can start your online poker career with exactly $0 to your name. There are numerous freeroll tournaments across different rooms, where you can join for free and actually win some real money that can get you started. If you’re completely new to poker and are just looking to learn the ropes, I’d say playing in some freeroll tournaments to get the feel for the game is definitely way to go. The money aspect isn’t all that important at this point as you’ll get to accumulate a lot of experience for free, which will likely turn invaluable down the line. However, for someone who already has a decent amount of experience and plays solid poker, freerolls are probably a waste of time. These tournaments usually attract hundreds or even thousands of players and even if you manage to win one or two of them (which is not easy by any means), you’ll only earn a few bucks. So, I’d say making a deposit of $50 or $100 to get you started is probably the better option. If you just consider the number of hours it would take you to build that bankroll from scratch, the math is simple – you’re better off just putting in the money yourself and playing in some real money games – provided you can beat them. The main thing about building your poker bankroll is to position yourself so that you’re playing in the games you can beat. Your starting point doesn’t really matter if you’re the proverbial fish at the tables; it may take longer to lose money but you’ll lose eventually if you’re among the weaker players in your game of choice. Most poker players will tell you, it isn’t about being the best in the world – it is about being the best in the games you play. It is easy to simply go with one of the big rooms that are advertised everywhere and stick to those, but if you’re serious about building your poker bankroll, these aren’t your best option. When trying to build up and slowly move up, every penny counts, and smaller rooms simply provide more value. They don’t tend to attract as many good players so you’ll have a bigger edge and you can also expect to get more money via rakeback and promotions. One downside of playing at smaller rooms is that there might not be enough action around the clock, so you might need to tailor your schedule around it. However, you should also consider this when picking your room and go with the one that fits your own playing schedule as much as possible (a lot of action during your evening time, for example, as this is when most people play). Tournaments, Cash Games, or Something Else? Once you have found the room where you’ll play, you need to decide what format to go for. 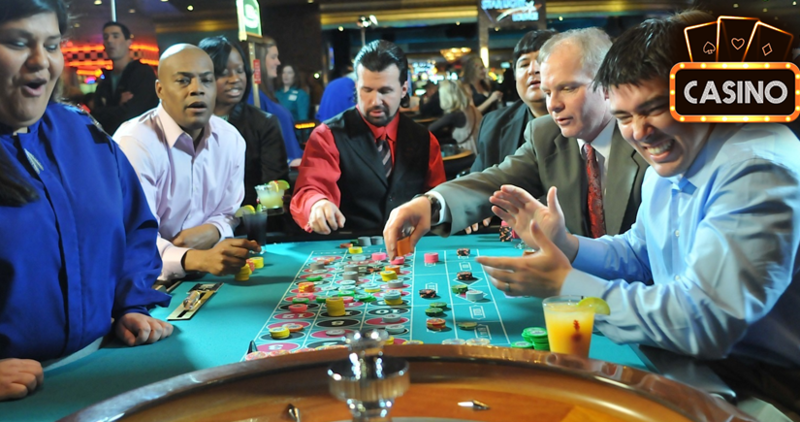 Two main choices are between tournaments and cash games. If you do follow my advice and go for a smaller poker room, I’d say tournaments are definitely a way to go. From my personal experience, MTTs (Multi Table Tournaments) on these small rooms are super soft as most people just seem to lack the grasp of even the basic tournament strategy. This is especially true for low-level tournaments you’ll be playing while building your bankroll. Another good thing about this approach is that you won’t have to deal with a huge variance that usually comes with playing MTTs. These smaller rooms tend to have smaller tournament fields as well, which means you’ll be making many cashes and quite a few final tables so your bankroll isn’t likely to be decimated – something which could easily happen if you played huge-field tournaments on some of the major sites. Playing MTTs can also be much more rewarding and give you the motivation to continue. Winning an MTT can easily triple (or more) your bankroll, which will really give you the push to keep on at it. Playing micro-stakes cash games, on the other hand, can be a real drag because even on the best of days, you’ll be making $30 – $50 and many days will just be break-even, without ever really having a shot at significantly boosting your roll. Of course, if you enjoy cash games more and find that the grind sits right with you, there is nothing wrong with it, especially if games are soft. In the long run, you’ll be making a similar profit, but playing MTTs is just more gratifying. One of the important things when building your poker bankroll is the game availability. If you opt for a smaller room, although the quality of play in sit and go’s or other formats will likely be quite low, you’re unlikely to find enough volume to make these your primary game. So, while some of these alternatives can be a fine choice as side games, you’re better off sticking to either MTTs or cash games as your primary game. With these, you are likely to find a lot of action around the clock and will be able to tailor your own schedule to a great extent. Additionally, the time spent waiting for games to start is usually too long to justify the extra edge you might have. Building your poker bankroll while sticking to some reasonable guidelines and not taking big risks is a journey that can last a while. The variance is always there to make sure things don’t go exactly as planned, so there’ll be hills and valleys on the road. So, the best you can do is position yourself so that you have the best shot at a success by finding softer games and taking full advantage of any additional perks along the way. Of course, as you move along, be ready to improve your theoretical knowledge as well and boost your game as you’ll need this to stay profitable and continue being the winner. Every next level comes with its own set of challenges and you need to be prepared to work hard to overcome these challenges and continue on the right path. If you do it the way you should and stay hungry for success, though, you’ll end up building a decent poker bankroll and playing at a level you can beat and that provides enough of a financial incentive for you. From there on, you’ll need to decide if you’re happy with where you’re at or if you want to continue building that bankroll and moving further up. The poker journey never really ends as there are always bigger games and greater challenges you can go for. But, the first step in that journey is building a solid bankroll that gives you a great shot at success so that’s exactly where you should start!